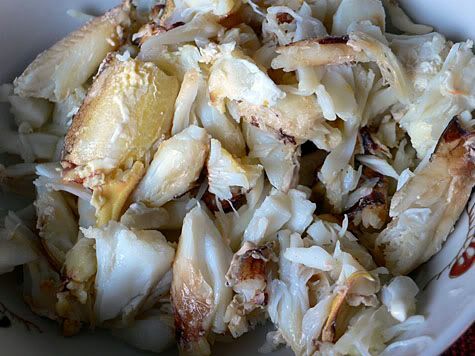 On the drive back from Bodega Bay, we stopped off at the marina but found that there were no boats selling fresh crab due to the wild and wooly big surf. 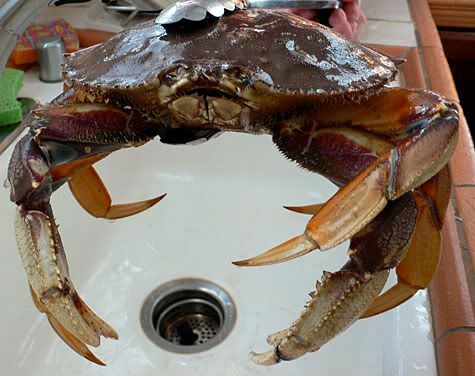 We walked around several docks with no luck, but persevered and eventually found a big beastly fellow at The Tides, a tourist destination made famous from its brief appearance in Alfred Hitchcock’s film The Birds. 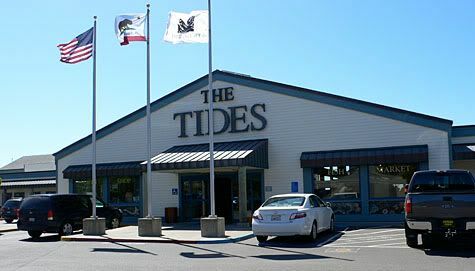 The Tides restaurant bears little resemblance to the cafe in the movie but is a bustling commercial port of call with souvenir shops, gourmet groceries, fresh seafood and at least one restaurant with exceptional views of the ocean out back. 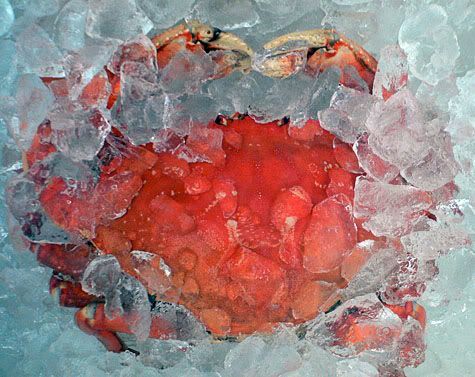 Ahh, here is the crab cooling on ice after an extremely hot bath..
Wow, that crab looked good! 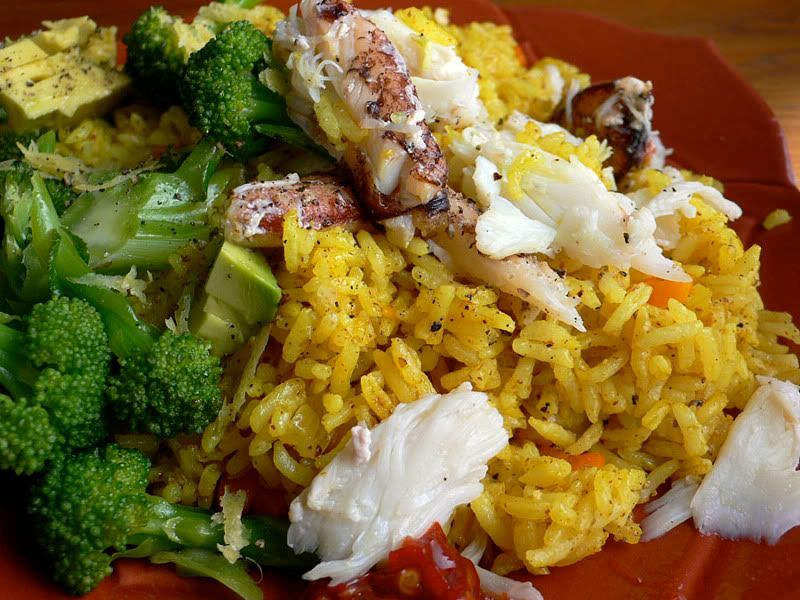 And curry fried rice sounds like an interesting pairing for it. 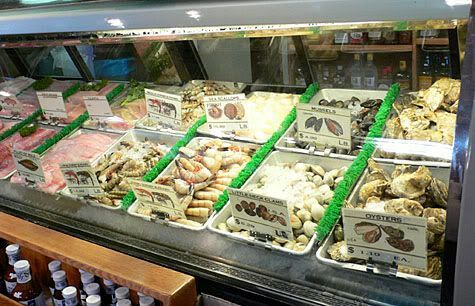 You really are a sustainable cook getting your food right off the land and sea!